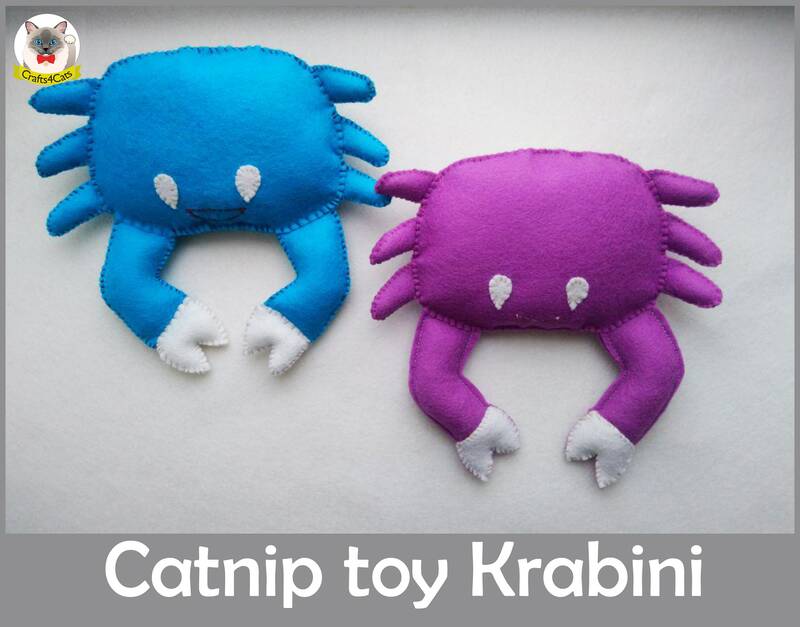 Handmade 100% wool felt crab Krabini toy for cats and kittens. Price per one crab. 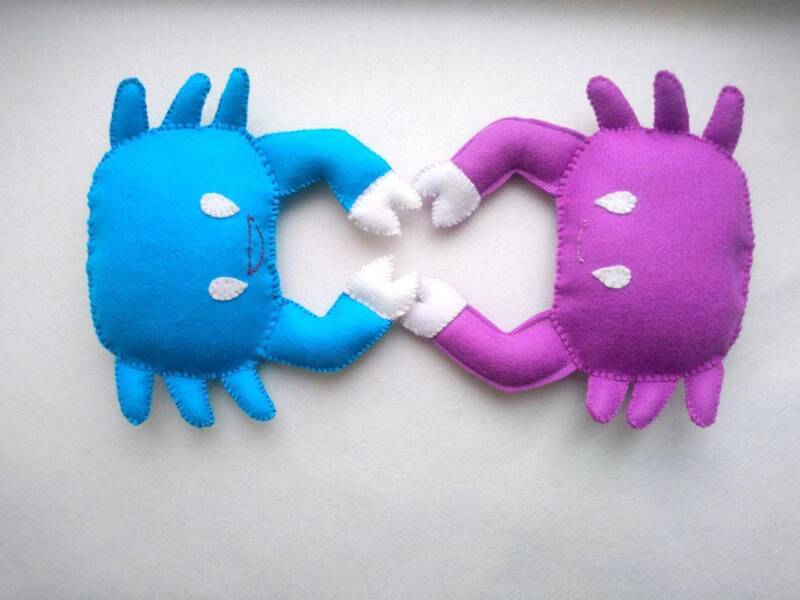 ♥ Made from natural wool felt. ♥ Available in colours: purple, red, blue, yellow and pink. 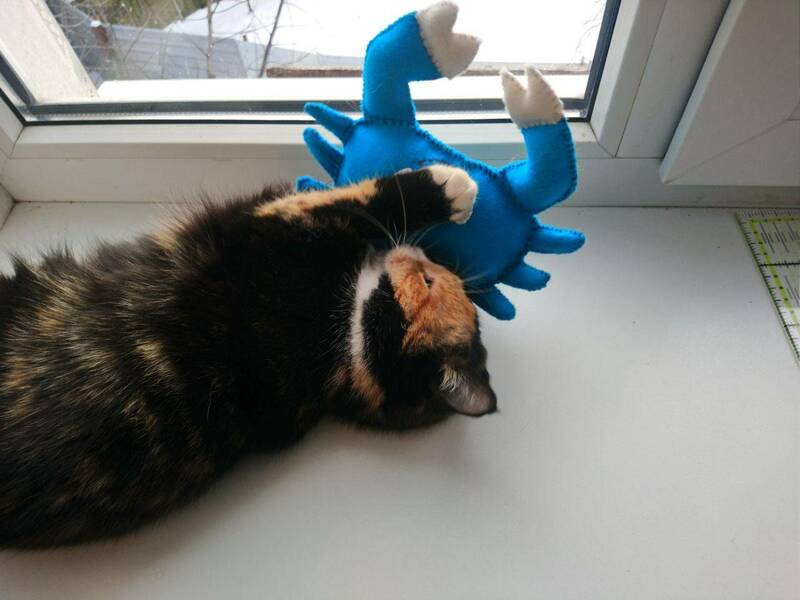 ♥ Each felt toy is stuffed with catnip mix, wadding (toy stuffing), and crinkle.